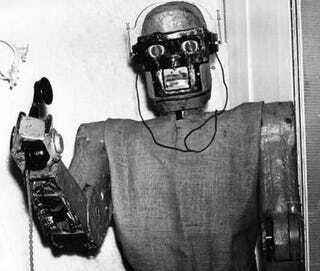 RoboCaller: Hello, I'm Jim and I'm calling to see if I can help you with some financial advice. RoboJim: Well, this isn't a sales call and I'm hoping I can help you in consolidating your unsecured debt. Me: I am a robot. RoboJim: I can assure you I'm a real person. Let's talk about how I can help you. RoboJim: Do you currently have more than $10,000 in unsecured debt? Me: I think fish steal my socks out of the washing machine. RoboCaller: I'm sorry, but I didn't get that. Do you currently have more than $10,000 in unsecured debt? Me: Fruity Pebbles are not made from rocks. RoboJim: Hold on and I'll get someone to help us. Is that OK? Me: My teeth are blue. Indian Call Center Human: Hello this is Edward. To whom am I speaking? Me: I can assure you I'm a real person. Let's talk about how I can help you.